Deception Pass has at least 30 major trails. I explore three. While the signature experiences at Deception Pass State Park are truly great activities, there are some that still go unnoticed, or at least under-explored. As an avid hiker in this area, I have three favorite trails. Two of which are the park's best-kept secrets. So, while I still recommend that you cross the bridge, enjoy the view, and look down the 18 stories to the water, I have some other things for you to do. Lighthouse Point is one of my favorite hikes for it has all the things I love about Pacific Northwest trails –beaches, woodlands, and jaw-dropping views. Its scenic beauty also makes it popular with hikers and photographers, and it’s rare to have the path all to yourself. 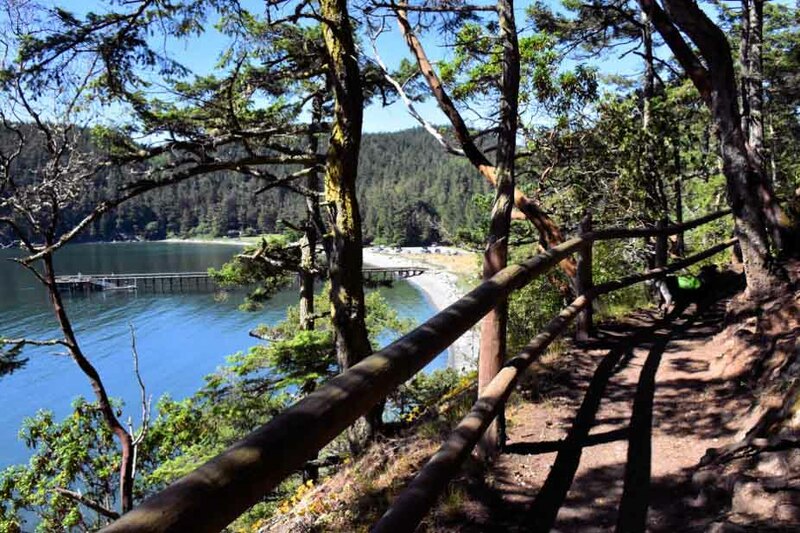 The 2.6-mile trail starts in Bowman Bay, on Fidalgo Island, where there is plenty of parking, a long stretch of rocky beach, a fishing pier, seasonal kayak hut, picnic area, a small campground, and a playground. The trailhead is on the south end and weaves its way up a small cliff and back down to a two-sided beach; one sandy, one rocky. From there the trail leads up and loops around Lighthouse Point. 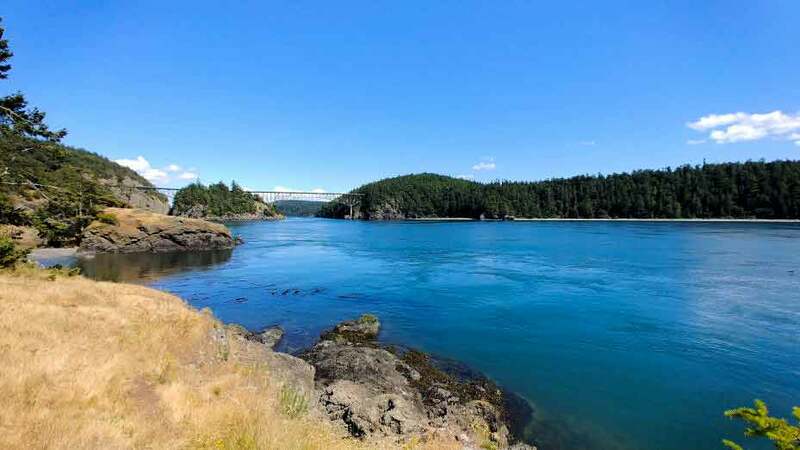 Along the route you’ll often see seals bobbing in the water, gulls, and eagles, and ‒ what everyone hikes here for ‒ views of Deception Pass Bridge and Whidbey Island. Don’t forget your camera! There is a small beach and open grassy area with fantastic views to enjoy a snack. To extend your hike, take the loop trail to Lottie Point on the return trip (past the beaches). 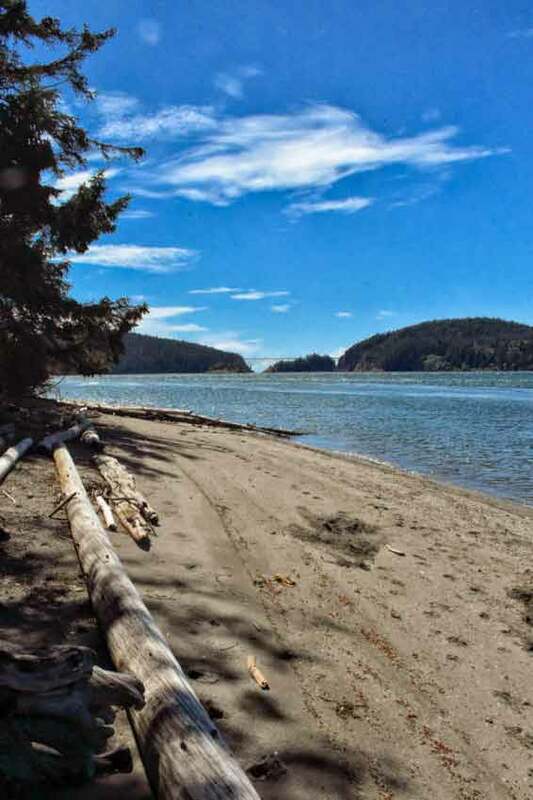 Or, take the one-way trail to Rosario Beach at the opposite end of Bowman Bay. Insider tip: On a very low tide, you can walk from the beach near the parking lot to the beach that leads to Lighthouse Point. Visitors at Deception Pass State Park need to pay state park fee. A day pass is $10; the annual Discover Pass $30. Many day passes can be purchased from park offices or automated machines and drop boxes in the parking lot. The annual pass can also be purchased at retail locations or online. 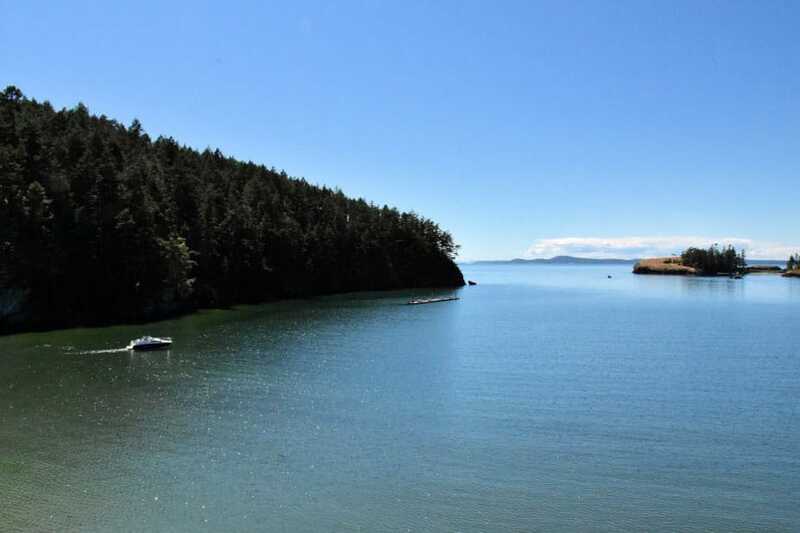 Boaters and kayakers are very familiar with this part of Deception Pass Park. Why? It’s the location of Cornet Marine Area with ample parking for boat trailers, a few boat ramps, and docks. I’m embarrassed even to admit this, but I lived here for ten years before I realized the park extended this far northeast onto Whidbey Island. I’m so glad that remedied itself for this part of the park offers a unique vantage point of Deception Pass Bridge. As you walk along the long, paved road, there are peek-a-boo views of the bridge as well as a couple of resting benches and paths down to the beach. Near the end, it narrows slightly and turns eastward around Hoypus Point. From there, you can explore the beach and on a clear day admire Mt. Erie and Mount Baker. If you want a stretch of sandy beach and views of the bridge, walk a short way along the beach westward. If the tide is high, you might have to high-jump over driftwood. The view from Hoypus Point. 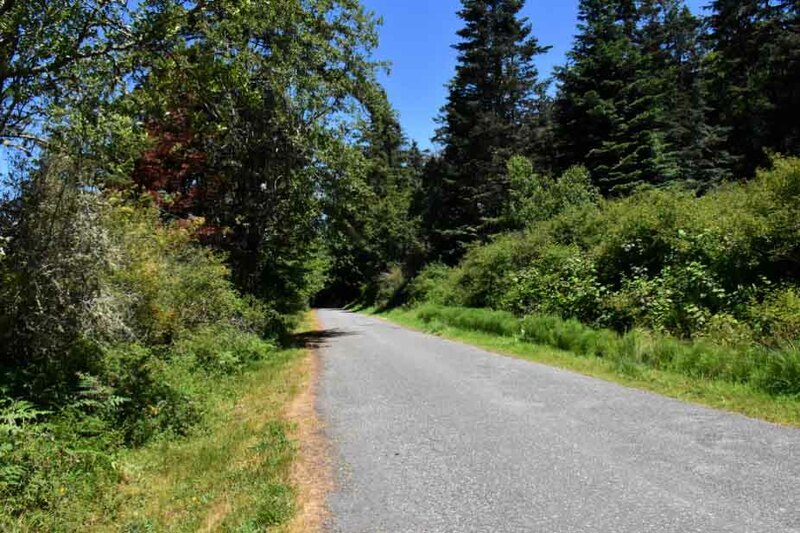 Since the paved road is mostly flat with only a few rough patches and shaded, it is an excellent option for those looking for an easy stroll and for families who want to let their kids loose on their bikes. 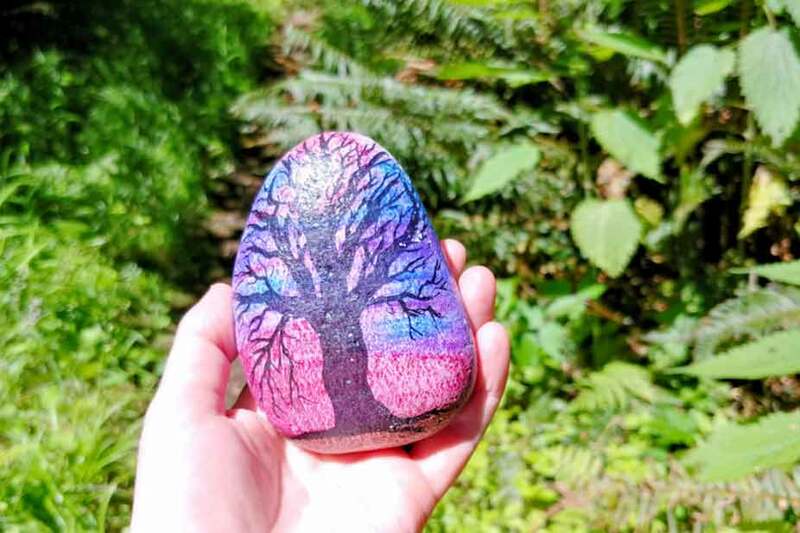 Be sure to keep a sharp eye out for rocks painted by Whidbey Island Rocks! 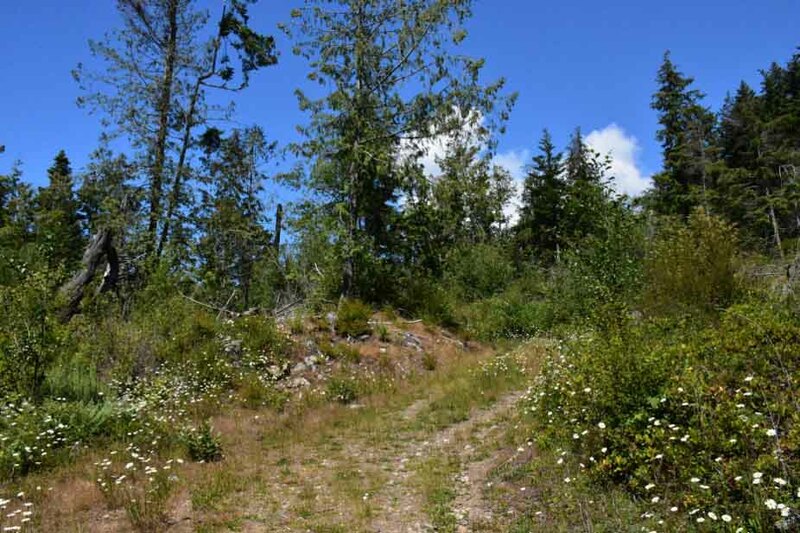 There is also the option to do some Deception Pass hiking in the three miles of trails in the woods. Insider tip: Cornet Bay is the Island Whaler’s home dock for Deception Pass boat tours. Find Your Perfect Overnight Stay! If you’ve visited the area before, you’ve most likely driven past Pass Lake. Tucked along SR 20 right at the park entrance on Fidalgo Island, the lake is a haven for fly fisherman, and you’ll often see their boats floating in the water. The beauty of Pass Lake is that since it is so close to the park’s main attraction, hikers often overlook the trails. 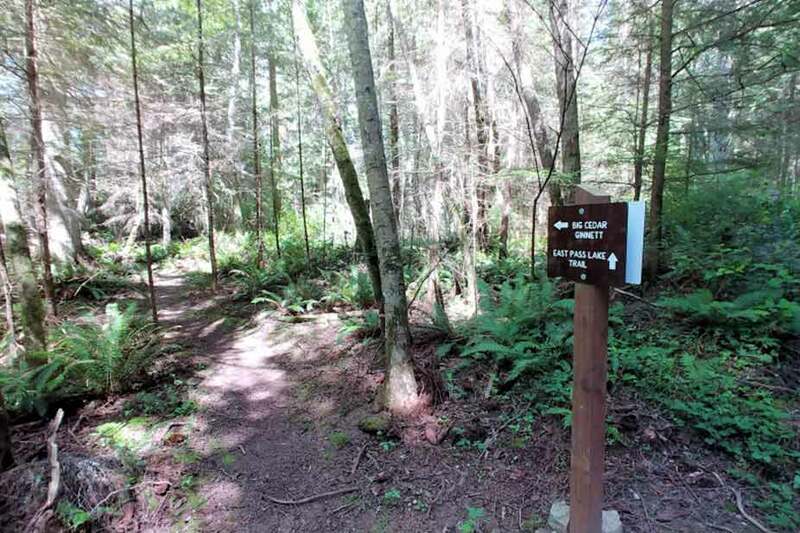 While this park doesn’t offer views of the bridge and coastline, it does take you through woodlands filled with towering trees, an old logging area, a newer trail to a huge cedar tree, and an interesting group of large boulders topped with moss. There is a lot of ups and downs on this 3.4-mile loop trail, especially if you extend it, so be prepared to sweat. From the parking lot, take the trail into the forest. A ways in, you’ll come to a ‘Y’ and have the option to go left or right. I usually go left and work my way up and to the right toward the logging road. This part is mostly uphill, and sections of the road are exposed to the sun. Once it turns back toward the forest, you’ll have the option to take the Big Cedar trail, which I recommend. 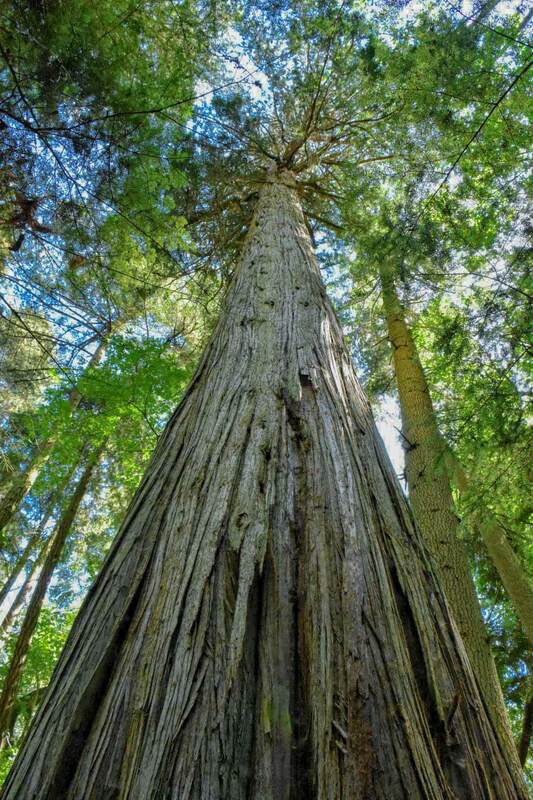 The impressive tree sits at the top of a fern laden gully, and from there the trail works its way down past a handful of medium-sized cedar trees. This part of the trail is rather steep with a narrow path, loose rocks and roots, so watch your footing. If you have smaller kids in tow, it might be tricky to navigate. When you read the bottom, you can take the optional one-way Ginnett Trail to extend your hike or head back to the loop. Insider tip: Don’t leave home without downloading the map for Deception Pass State Park trails. All images courtesy of Lara Dunning. 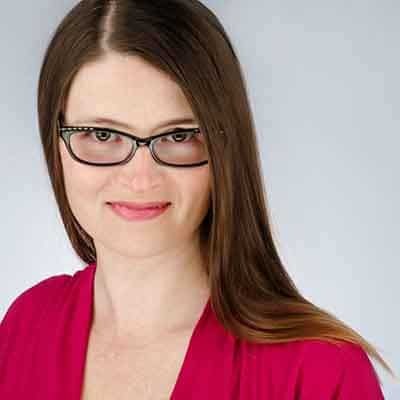 About the Author: Lara Dunning has a serious passion for small towns, history, food and light adventure. She has more than 100 published travel articles, and on Small Town Washington & Beyond she shares her stories about small town traveling. 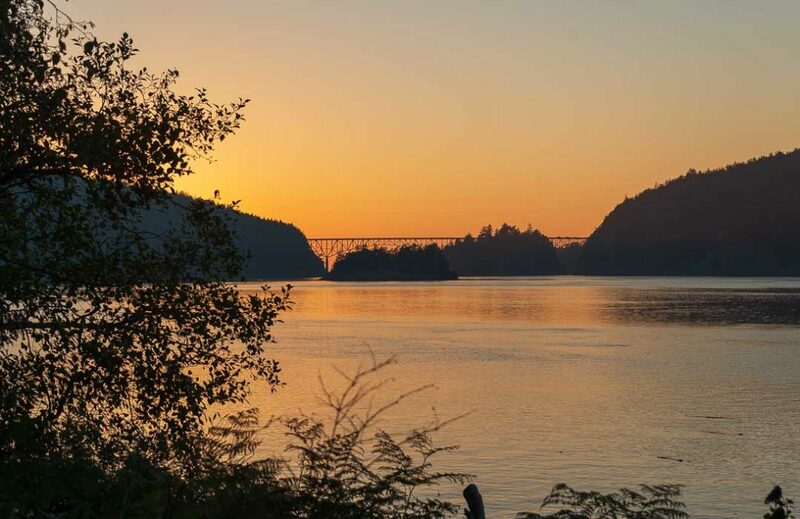 Learn about the history of the Deception Pass Bridge and how it was built! Tour Deception Pass and get the inside story while riding a powerful jet boat!